A missing man from Hove has been found safe and well, Sussex Police said today (Monday 25 March). Frederick Nash, 21, was in London, the force said. 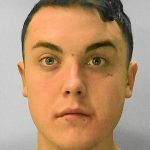 He went missing from Hove on Thursday (21 March) and on Friday a missing person appeal was published. The force said at the time that they were very concerned for his welfare.